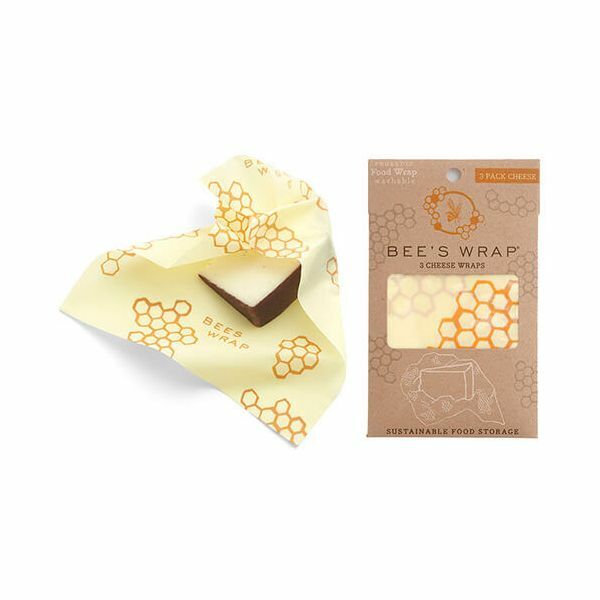 This Bee's Wrap Set of 3 Cheese Wraps is a must for all lovers of cheese. Unlike plastic wrap which makes cheese sweat, these cheese wraps allow your cheese to breathe when being stored. Simply soften the wrap using the heat of your hands. Wrap and create a seal around your cheese. When the wrap cools it will maintain the shape you created. Beeswax and jojoba oil have antibacterial properties which help keep your cheese fresh as well as allowing each wrap to be used over and over again. Cheese keeps much better than clingfilm. Don't know how long it will last but happy with it so far. Glad not to have very slimey cheese anymore.